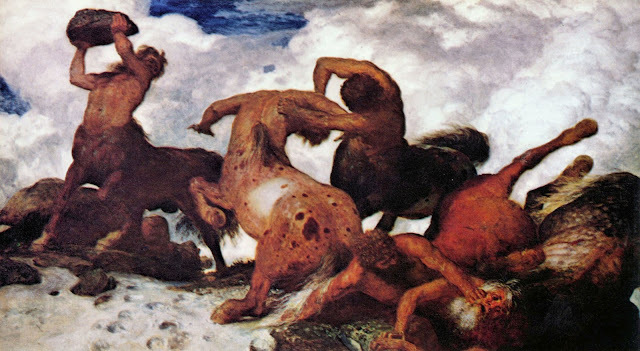 Arnold Bocklin... dude, centaurs fighting! I didn't like the 2nd painting of the first artist, it took me entirely too long to figure out those were even horses and i'm still not sure what's going on. Umberto - I really really like the winged(?) horses (? ), but the half-horses beating each other up was just sad. 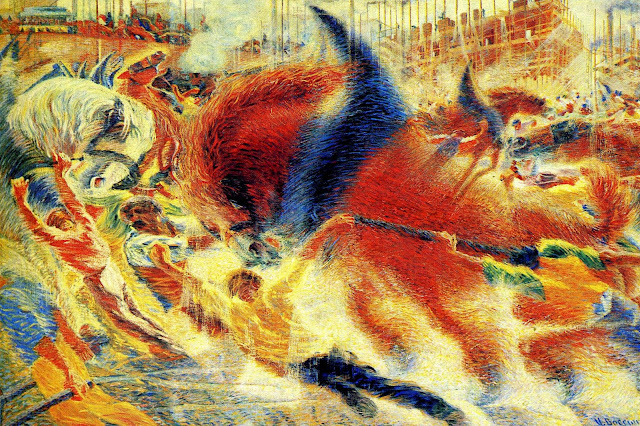 I don't like either of them, but I dislike Boccioni less, on account of the very nice blue colors. 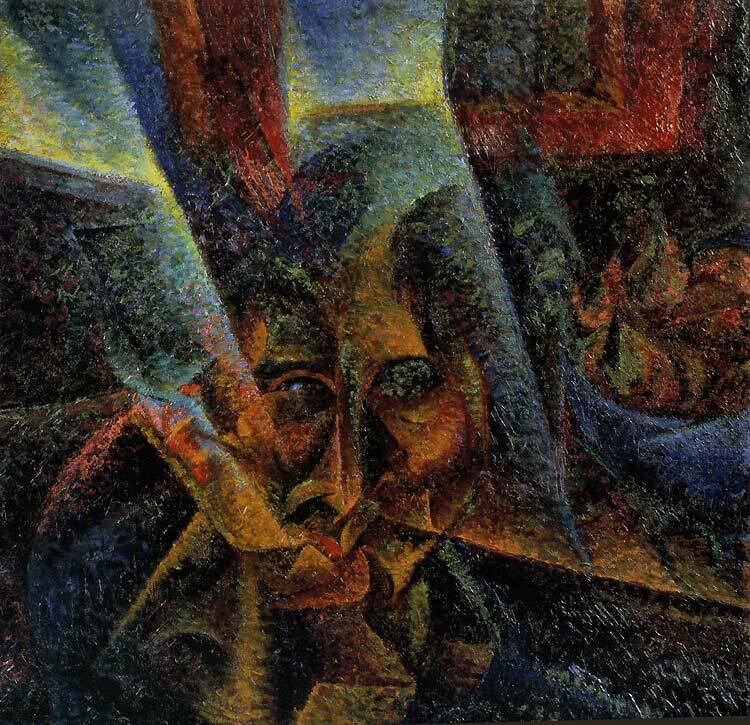 Boccioni, love that old time futurism. Brace yourself! I'm going to vote for somebody whose paintings are less traditional, even though there's a fine traditional alternative! Please register one *shockingly daring* vote for Boccioni! Boccioni, bro, that dude is gettting mauled by a horse. Boccioni, no question. As much as I love the classics, Bocklin's execution isn't doing it for me. Funny that Giger's homage to Bocklin's "Isle of the Dead" seems to be at least as famous as the original. 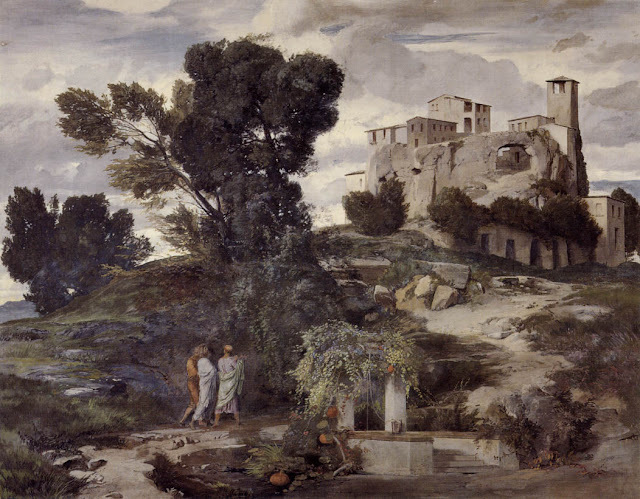 There's a vote for Bocklin here -- "another weird and wonderful artist!" -- that was sent in on a Boccioni postcard! Cool. Personally, though, I'm loving Boccioni. My vote's for him. Voting is now closed in this pairing.